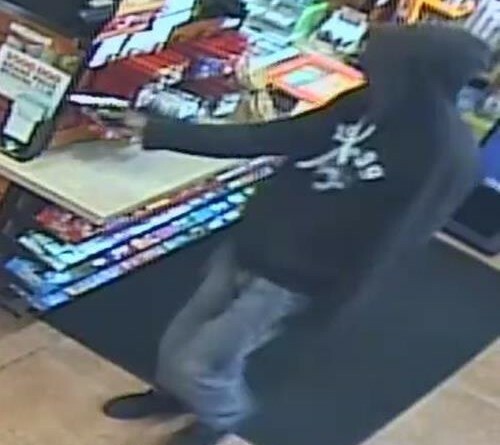 The Loudoun County Sheriff’s Office is investigating an armed robbery at the Shell station in the Ashbrook Commons Plaza Ashburn where the suspect fired a shot inside the store April 1. The Loudoun County Sheriff’s Office is investigating an armed robbery at the Shell station in the Ashbrook Commons Plaza Ashburn where the suspect fired a shot inside the store last night. his gun. He fled with an undisclosed amount of cash. No one was injured. The area was searched with the aid of a Fairfax County Police Department helicopter. 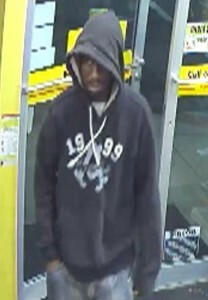 Detectives have released surveillance video images of the suspect. He is described as a black male in his 20s, approximately 6 feet tall, with a slender build. He has some facial hair, possibly a goatee. He was wearing blue jeans, black shoes and a black hooded sweatshirt with the number “1999” and an Abercrombie logo displayed in white on the front of the sweatshirt. Anyone with any information is asked to contact Detective M. Grimsley at 703-777-0475. Callers wishing to remain anonymous may call Loudoun Crime Solvers at 703-777-1919 or submit a tip through the Loudoun County Sheriff’s Office app. Callers who provide information to Loudoun Crime Solvers that leads to an arrest and indictment could be eligible for a cash reward of up to $1,000.